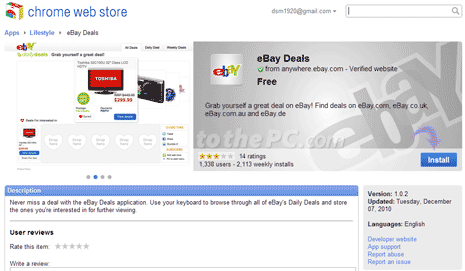 Web apps are collection of extensions, themes and apps designed for the Google Chrome browser. It allows you to extend usability of websites in Chrome browser. 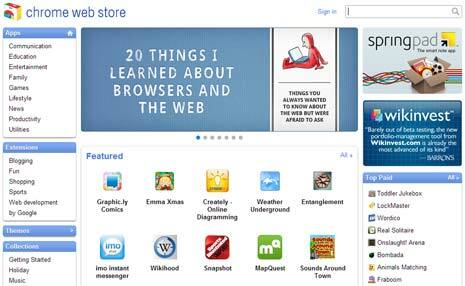 You can browse all free and paid web apps for Google Chrome browser at Chrome web store. You can install web apps of your choice, use them and provide review of their functionality. 1. Launch Google Chrome browser. Make sure you are using latest version of Chrome browser. You can update Google Chrome browser to check on this. 2. Then open Chrome Web store webpage in Chrome browser. Open new tab by pressing Ctrl + T and then click web store button. Alternatively, click wrench icon at top right and goto Tools > Extensions. Then click ‘Get more extensions’ link at bottom right of the Chrome extensions page. 3. You can browse web apps of different categories like Communication, Education, Entertainment, Family, Games, Lifestyle, News, Productivity and Utilities. 4. To install specific web app, click ‘install’ button on the right side. It should be installed in few seconds. 5. 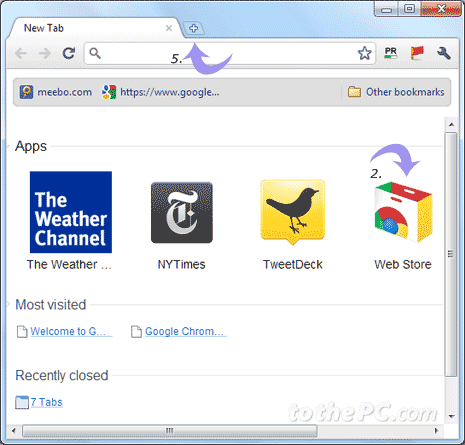 After the install, you can view and manage web apps by opening new tab window by pressing Ctrl + t or click + sign on tabs bar in Chrome. Using similar procedure above, you can also install paid web apps from Chrome web store. You can need buy paid apps in Chrome webstore using credit card through Google Checkout service.